In a live broadcast, President Russell M. Nelson will announce the new leadership of the LDS Church on Jan. 16. The Tuesday broadcast will begin at 9 a.m. with an address from President Nelson. Following his message, a press conference will take place at 10 a.m. to announce the new prophet, first counselor, and second counselor of the Church. President Nelson's message and press conference will be broadcast in 29 languages on the Church's satellite system as well as on lds.org, mormonnewsroom.org, KSL TV, the KSL TV app, BYUtv, BYUtv Global, KBYUtv Eleven, BYUtv International, KSL Radio, and BYU Radio. The press conference comes after the Quorum of the Twelve Apostles met, unanimously voted, and selected the new prophet of the Church following the death of President Thomas S. Monson. 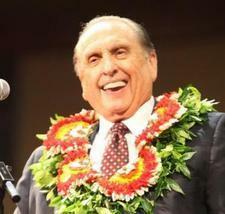 President Monson was called to served as the prophet of the LDS Church on Feb. 3, 2008. He passed away on Jan. 2, 2018, at the age of 90.